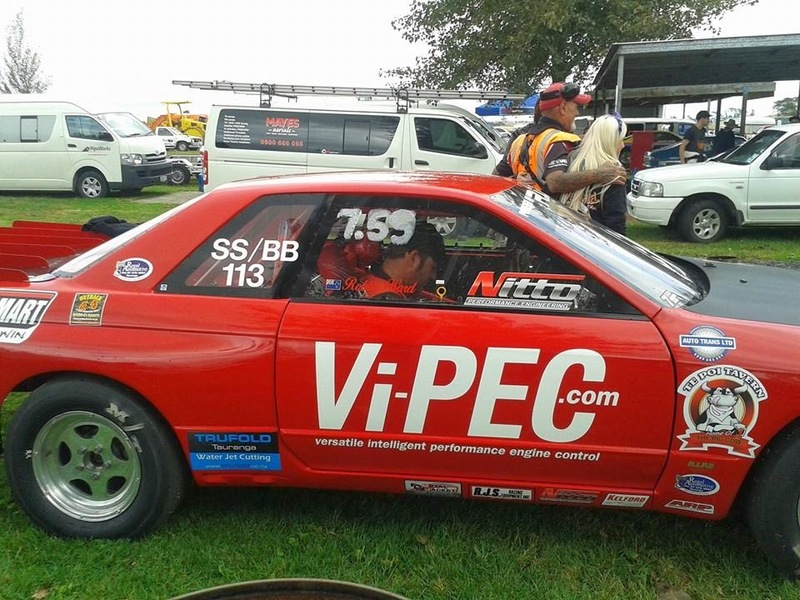 RIPS Racing in New Zealand, has set a personal best in their drag car, MGAWOT III. The RB30 powered, and powerglide equipped R32 Nissan Skyline GT-R went 7.64 @ 182 mph. The car is moving. They see the 7.41 of the fastest GT-R in the world - Heat Treatments R32 GT-R in their sights. Rain seems to have cut the event short. Lets put in a soft tune just to get a qualifying number on the board. BOOM 7.64 @ 182 like it was on rails. The changes we've made to other areas of the car are obviously working well to get a pb with the power we had in it. Then the rain came. Buy-R.com for Nissan Skyline GT-R and GT-R parts.